A Legoland Hotel in California ? California is about to inaugurate its first Legoland Resort hotel entirely dedicated to the legendary small brick for colorful stays. Legoland California Resort Hotel will open its doors in April 5, 2013, near the following amusement parks: Legolang California, Sea Life Aquarium Carlsbad and Legoland Water Park. A huge dragon welcomes guests at the entrance. 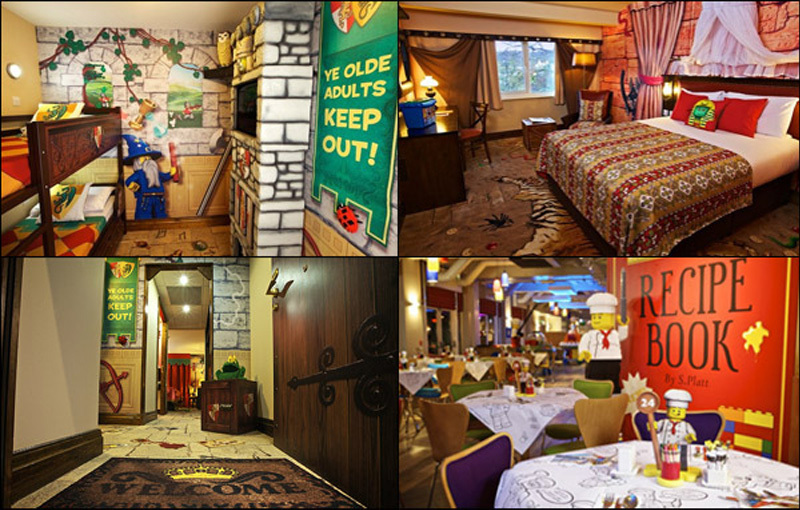 250 rooms are available, each one with a specific theme: pirates, kingdom or adventure. Each room is separated into two areas: one for adults with a queen-size bed, and another that can accommodate three children with a bunk bed, a sofa and a TV. The three-storey hotel includes a swimming pool and a restaurant with bright colors. It offers to its clients: sixty rides, shows, attractions and the new Star Wars Miniland.